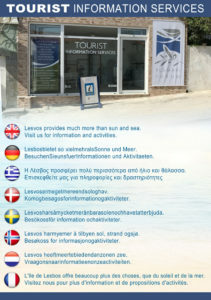 We are pleased to announce the operation of tourist information office in Agios Isidoros by Plomari Forum. 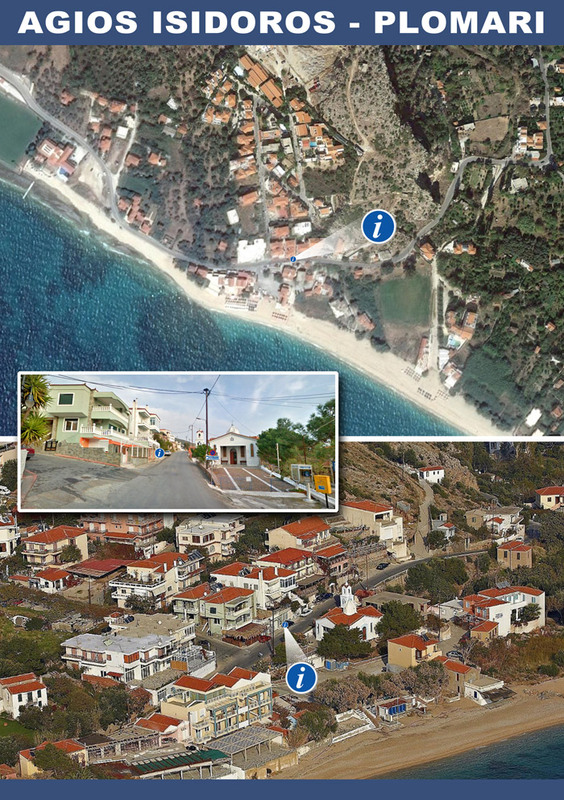 The relevant decision made, taking into consideration, first the need for the tourists to know all available activities, so to better plan how to enjoy their holidays, and second the fact that most of the hotels and tourism apartments are in Agios Isidoros. The office will commence its operation on next Saturday, 13/5, one day prior the arrival of the first organized tourist group into our area. 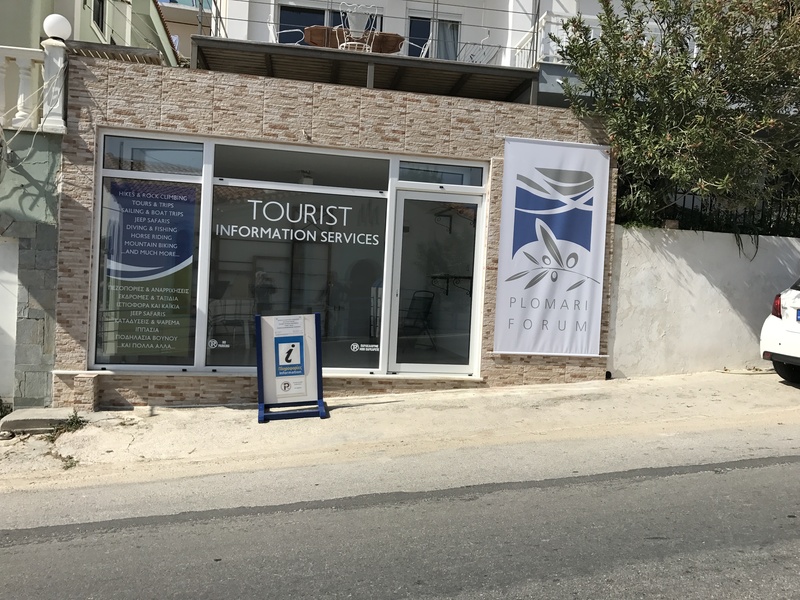 The provided information will also cover the available activities in other areas of the island, to enable the tourists to have their stay better organized. 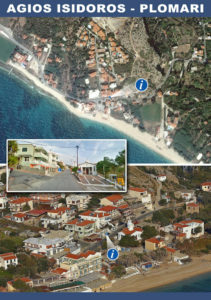 Plomari Forum is confident, that the operation of the subject office, along with the other office, downtown Plomari, will satisfy the need of the visitors for relevant information and will also promote the tourism in Plomari area and the entire island. 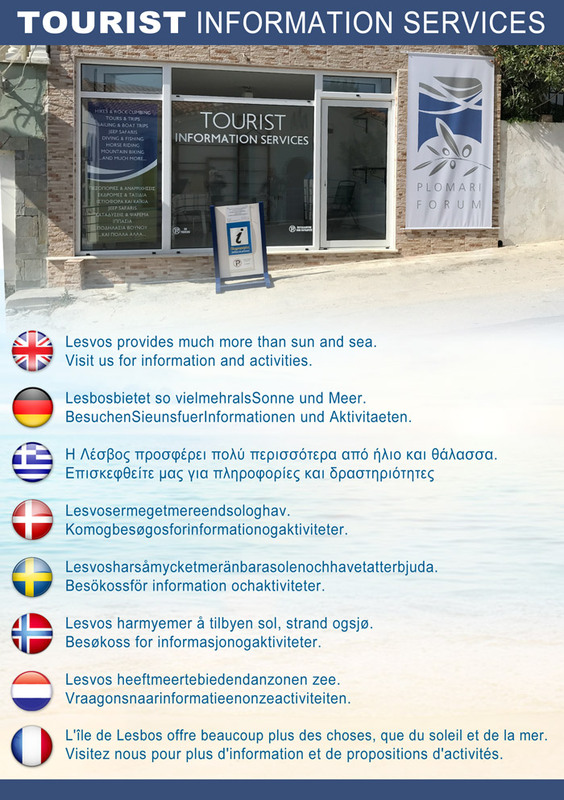 The office will be run by Plomari Forum members, who speak at least one foreign language and offer their services voluntarily, in accordance with the Forum statues. The office will be open daily, 7 days a week from 9 to 11 in the morning and 5 to 8 in the afternoon.